Intensive lifting effect for eyelids. 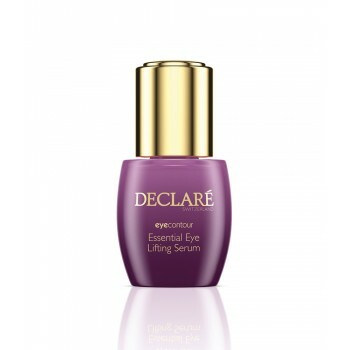 Highly effective eye serum with lifting effect. This serum, which contains Declaré src™ complex, lavishes the tender skin around your eyes instantly and intensively with moisture, and combats signs of fatigue around your eyes. It helps to reduce the appearance of existing lines, wrinkles and dark circles. To make the skin around your eyes look radiantly fresh and youthful! Apply mornings and evenings by itself or as a preliminary step to complement your customary eye care routine. Rub in lightly.